In August, the EPA proposed a rule intended to replace President Obama’s Clean Power Plan, which had served as the backbone for the United States’ leadership in the Paris Climate Accord and as a catalyst for Wisconsin utilities to reduce carbon emissions and transition to renewable energy. The proposed rule weakens environmental standards and attempts to extend the life of coal while keeping a campaign promise for the President, who champions the coal industry from the Oval Office. The proposed rule fails to seriously curb carbon emissions even when, just last month, United Nations scientists issued a report with a dire warning: the world has just over a decade to get climate change under control before we start seeing major risks to humans and our planet. The proposed rule requires additional investments in coal plants to improve their operating performance, as an alternative to continuing to invest in clean and cost effective renewable energy. Trump’s misplaced efforts to prop up the coal industry are highlighted by the roll back of the Clean Power Plan because he ignores what the energy industry already knows: phasing out coal in favor of clean, affordable renewable energy makes economic sense. Utilities have indicated as much. A recent Reuters survey found that, of utilities who announced plans to close their coal plants, none of them expects the EPA proposal to affect the timing of those closures. Utilities suggest a transition away from coal—driven by customer preferences for renewable energy, declining costs, and economics—is already underway. We need leadership to accelerate the transition to clean energy. Analysis done by the Trump administration shows that this proposed rule has serious consequences for our health. The administration states that this proposed rule could result in upwards of 1,400 premature deaths annually by 2030 from respiratory illnesses, due to more fine particulate matter from burning coal, The New York Times recently reported. With this proposed rule, our skies will be filled with more pollution, leading to more respiratory diseases, especially for kids and the elderly. In addition, this also exacerbates issues associated with ozone, another air pollutant that harms our health, which Clean Wisconsin is already suing the EPA over regarding recent changes in Wisconsin. In 2011, the Wisconsin Initiative on Climate Change Impacts released its first comprehensive report, Wisconsin’s Changing Climate: Impacts and Adaptation. 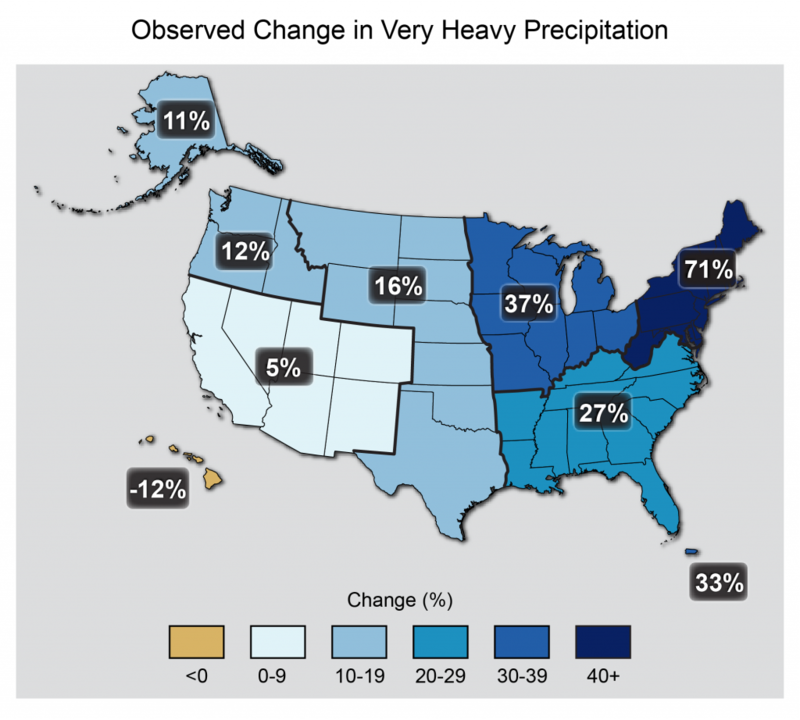 One of the report’s findings was the 1.1-degree statewide temperature increase between 1950 and 2006 and a rise in temperature increases the air’s capacity to hold moisture, which contributes to significant rain events and flooding. We felt the impacts a warming climate with this summer’s onslaught of historic rain events across Wisconsin. Taxpayers bear the brunt of the costs for flood damage, power outages and redesign of stormwater systems to handle the increase in precipitation. While the Trump Administration tries to support energy of the past, Wisconsin utilities are moving forward with 21st century clean energy technology. Recent announcements by utilities point to a future with more renewables and less coal, evidenced by commitments to stop burning coal by 2050, goals to reduce carbon emissions by 80% from 2005 levels by 2050, and ongoing retirements of coal plants. Additionally, there are promising signs the clean energy transition is gaining momentum in Wisconsin. Nearly 5,000 Megawatts of solar, 1,000 Megawatts of wind, and 170 Megawatts of battery storage projects being evaluated in Wisconsin. At the local level, we are already seeing bold action. There are initiatives across the state to adopt clean energy plans and reduce emissions, from Dane County, Eau Claire and Green Bay to the Fox Cities and Racine. In city and county halls across Wisconsin, there is a strong commitment to reduce fossil fuel emissions and invite clean energy. For many years, Clean Wisconsin has worked with stakeholders to accelerate the transition to renewable energy, increase energy efficiency, and influence policy to enable this transition. Although we are seeing positive developments, the recent U.N. warnings show we need a dramatic shift in our current trajectory in order to achieve these daunting emission targets. Our elected leaders in Madison and Washington need to lead the way. Ulility-led efforts to address climate change will only get us so far, but without bold laws and policies aimed at tackling this issue head on, it will not be enough. Clearly, the Trump administration’s proposed rule takes us in the wrong direction. That’s where you come in. As concerned citizens, you have the power to put pressure on our elected leaders to make the courageous changes necessary to deal with the greatest challenge of our lifetimes. While the comment period for this proposed rule has passed, your engagement is critical to help push our state and nation to boldly address the pressing climate change and energy issues. Sign up for our Action Network today at www.cleanwisconsin.org/act.